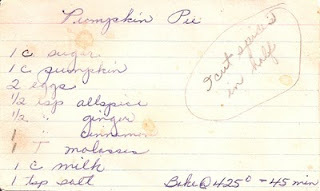 Grammy Gertie's Recipe Box: Happy Thanksgiving! 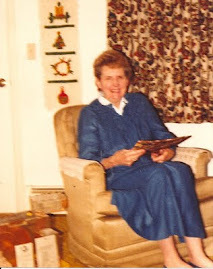 Grammy Gertie used to cook an enormous Thanksgiving feast, usually to feed 2 dozen people or so. 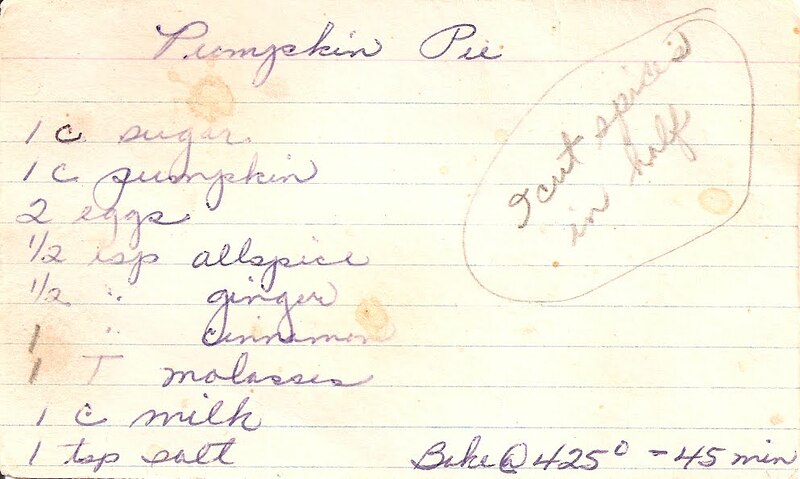 I remember walking into the house, and seeing all available counter space being used to cool pies -- including in the hallway. It made it very challenging to chase ones siblings around the house without knocking over the pies. -Mix above ingredients together, and pour into pie crust. -Bake at 425 degrees for 45 minutes.